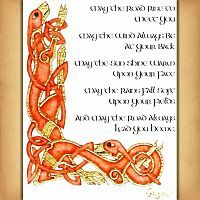 - Traditional Gaelic blessing, embellished with Celtic hounds as a corner border. 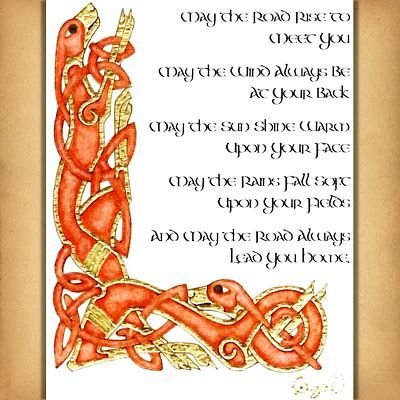 The text reads "May the road rise to meet you; May the wind always be at your back; May the sun shine warm upon your face; May the rains fall soft upon your fields, and may the road always lead you home." 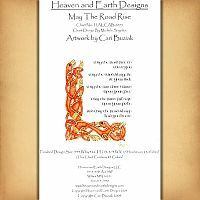 Design measures 344 stitches wide by 426 high, and will measure approximately 13 3/4" by 17" when stitches on 25 count fabric. 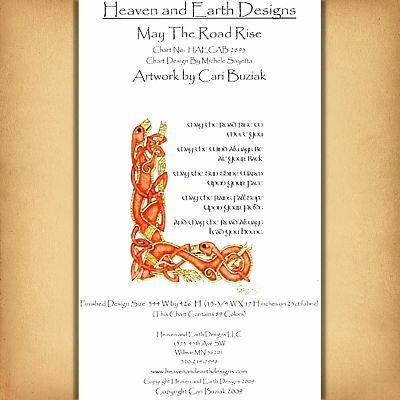 Copyright - Heaven and Earth Designs, Inc.
Do you have any other questions about our "May the Road Rise" Cross Stitch Pattern?